When asked to do an essay on Catcher in the Rye topics, it may not be easy. At the preparatory stage, you need to understand the question asked. In a case where you are the one to determine the topic that you want to do, it is critical to choose the right topic. In addition, you are supposed to do the question while referring back to the instructions issued so that you do not divert to irrelevant issues. You are then expected to read the text so that you can obtain the content that is relevant for the paper. Given that the deadline for submission of the work may be stringent, you need to have an elaborate plan to ensure that you manage to do the whole task within the timeline provided. Where you are not sure what to do, it is often advisable to seek professional assistance. Do You Know How To Select The Best Catcher In The Rye Essay Topic? This is a question that you need to ask yourself every time you are issued with a task of this nature. Normally, the topic you choose determines the overall quality of the paper that you prepare. The first thing that should guide you are the instructions from your professor. If you are told that the topic should come from a specific area, ensure that you stick to that. For instance, you can be asked to either pick a question on the themes, some of the characters or the literary style. In addition, pick on a topic that you are passionate about. When you do that, you get the motivation to do the work and submit content that meets the standards set by your school. A complicated topic may drag you behind making it difficult for you to explain issues in a way that can be understood by your readers. Do a thorough analysis of Holden`s behavior by assessing the treatment he exposes the members of his family to. Explain if he is the only sane person in a world that is insane or if it is the other way round. Describe the contribution the minor characters have on Holden and in the general development of the themes in the novel. Discuss how the theme of death is developed in the whole plot of the novel. There are several symbols that the author uses to signify the move from innocence to maturation. Discuss them. Describe the Relationship between Holden and Phoebe while explaining the contribution it has to the actions portrayed in the novel. There are many conflicts in the novel. Describe the main ones and how they are manifested. Industrialization may not be the main focus of the story. However, describe this phenomenon as manifested in the novel. Explain how poor communication contributes to the conflicts in the novel. Discuss the opinion that Catcher in the Rye is just a story of how teenagers find it hard to cope with the demands of the society. Based on the behavior of Holden as seen in the novel, explain how you think his life is likely to be in the future. Describe some of the most common social problems that are experienced by the characters in the novel. Explain explicitly. Explain why Catcher in the Rye is considered one of the American classics. Explain how the literary devices used in the novel are effective in passing the message. Analyze the theme of self-discovery from the novel. Describe the theme of loneliness in the story. Analyze how Holden’s relationship with women is described in the novel. Explain some of the aspects of human nature exposed by the novel. Pick some of the aspects that show that Holden contradicts himself. Explain if the author’s use of language is effective in conveying the message to the readers. Explain whether Holden is considered a dynamic or a static character. Explain the psychological problems that the characters in the novel go through. Is Holden just being Rebellious to the societal rules or the behaviors he is displaying just a part of growing up? The book Catcher in the Rye was authored many years ago. Does it still have relevance in today’s society? Is Holden truly a misfit or it is just a perception that he has created of himself? Growing up as portrayed in Catcher in the Rye seems to be a sad affair altogether. Is there a way the process can be made better for those involved? Is Holden’s general assessment of the society fair? Several symbols are used by the author in the novel. What do these symbols stand for? According to Holden, there is a big difference between childhood and adulthood. Is this true? If it is, in which category would he perfectly fit? Does Holden change throughout the novel? What changes does he go through and what is the significance of these transformations? What types of struggles does Holden go through in the novel? What contribution do they make to the whole literature? Sometimes, these topics may be difficult to do. In such a case, you can always count on our professional help with the task. 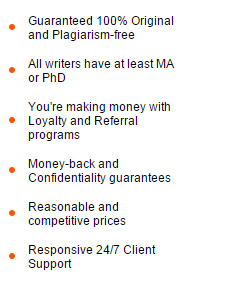 Buy essay papers online or get professional help.